Mega, a cloud storage site and successor to closed file-hosting site MegaUpload, launched today, garnering 250,000 users in its first two operating hours. One year ago today, the United States Department of Justice closed down the site MegaUpload due to its hosting of scads of data infringing on a wide swathe of copyrights. 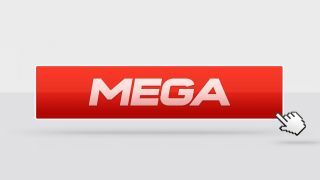 Today, MegaUpload founder and martyr Kim Dotcom opened the doors to his new site, Mega, which currently functions as a cloud storage site similar to Dropbox. Because of the huge initial response, though, the site has been periodically unavailable, causing plenty of excited MegaUpload loyals to wait to access their free 50GB of cloud storage. The big announcement today came directly from Dotcom via Twitter, where the eccentric New Zealand-based entrepreneur said, "As of this minute one year ago Megaupload was destroyed by the US Government. Welcome to http://Mega.co.nz." Just two hours after opening the site, Dotcom also reported that 250,000 users had registered on the site. The high volume has caused the site to be accessible only intermittently, but Dotcom has reassured anxious users that "the guys are working on balancing the load," so a fix is in progress. In an interview with Ars Technica, one of Dotcom's lawyers, Ira Rothken, confirmed the defensible legality of this re-imagined site, and even touted the services added security encryption. For a full breakdown of what services Mega is slated to offer, check out TechRadar's full write-up.